Accreditation by a state governmental agency is an administrative mechanism designed as an attempt to attain uniform education for all children in government schools. Accreditation was established as a governmental means of causing local public school districts to meet what the state educational agencies determined to be minimum academic and facility standards for all schools. 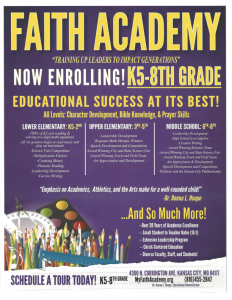 Faith Academy is in the process of securing our accreditation.